An update to Vol. 2, pp. 553–560. 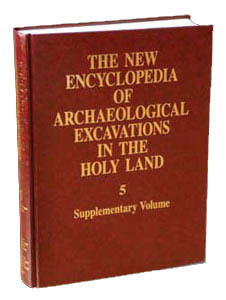 In phase III of the Lahav Research Project, P. Jacobs and O. Borowski directed three seasons of excavations (1992, 1993, 1999) at Ḥalif, with work at site 101, on a terrace east of the tell, and in field IV, at the western summit of the tell. At site 101, five phases of the late Chalcolithic period and Early Bronze Age I were excavated. Recovered in field IV were the remains of the late Iron Age II, along with traces of stratified Persian and Roman-Byzantine occupations, all of which had been disturbed by trenching in the ninth century CE. Field IV also yielded several hundred pottery figurines and stone artifacts. THE LATE CHALCOLITHIC PERIOD AND EARLY BRONZE AGE I AT SITE 101 (STRATA XVII–XVI). Excavation at site 101 produced stratified evidence of the transition from the late Chalcolithic period to the Early Bronze Age I. The earliest known occupation at site 101 consists of a domestic unit (Chalcolithic, phase 10) situated on bedrock within a cave shelter. The collapse of large portions of the shelter brought about reorientations of the living space within phase 10 itself and throughout subsequent rebuilding in the Early Bronze Age I (phase 9). As additional segments of the roof collapsed, new construction incorporated the fallen slabs, and eventually a house was built inside the depression left from the completely collapsed cave (phases 8–6). These five phases of stratified Chalcolithic period and Early Bronze Age I occupations provide a unique, detailed sequence of occupation and artifacts from the late fourth and early third millennia BCE. A trace presence of the Early Bronze Age IV (phase 5) was also detected above the ruins of phase 6.